That quote depicts precisely what it’s like to journey with the protagonist in THE BROTHERHOOD’s debut title, Stasis. Led by two brothers, Christopher and Nic Bischoff, THE BROTHERHOOD successfully “Kickstarted” their 2-D isometric adventure game in 2013, and are finally ready to unveil their dark take on the adventure genre. 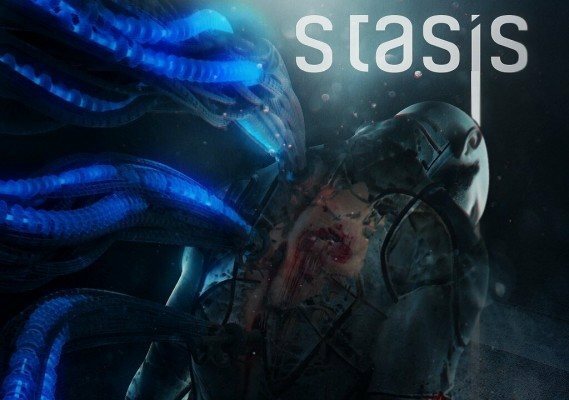 Stasis is a sci-fi point-and-click horror game that focuses on creating a riveting, tense atmosphere for you, its “test subject”, taking human experimentation to a new planet. You are John Maracheck, a “space tourist” awakened by a loud crash following a rough fall from a glass, tubular pod. You observe your surroundings: below you, lime-green fluid from the pod is splattered all over the grey floor. To your left, you find a couple of similar stasis pods, confining drifting four-limbed creatures. You are all alone in lockdown, and you’re definitely not where you’re supposed to be. On-board an eerie spaceship known as the Groomlake (stationed nearby Neptune), your aim is to locate your missing wife and daughter, and then flee to safety before the spaceship sinks further into Neptune’s methane clouds. At the beginning of the game, it is noted that the Marachecks were initially hibernating on another ship for a space-vacation years before John was roused from his coma on the Groomlake (with broken ribs and a risk of heart failure). To their misfortune, their ship was intercepted by Cayne Corporation – whose scientists kidnapped humans on-board, then moved them to the Groomlake for fringe science studies and hybrid-cloning experiments. 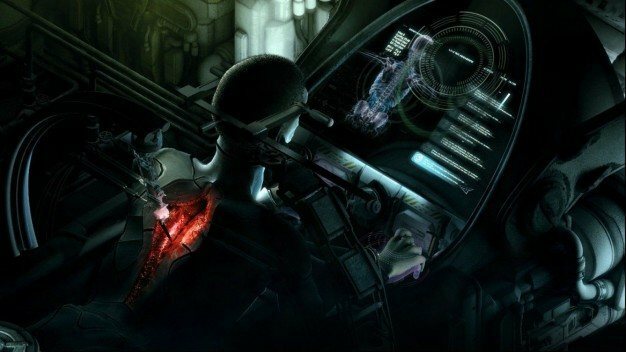 Cayne Corporation’s top priority was Project SEED: to harvest super soldiers by creating human specimen through DNA mutation, exceeding how fast humans can reproduce naturally. As you can imagine, the resulting specimens were abnormal, savage, and nauseating – all because of the project’s psychopathic leader, Dr. Malan. The key players behind Stasis’ slight tremors and occasional jump scares are the sound FX, music, and voice acting. Throughout your playthrough, Stasis guarantees you hear literally everything: from the littlest liquid drop to the clones’ echoing moans. You’ll catch air vent noises, space machinery beeps, piercing hybrid screams, flesh and gore sound effects, and, to top it off, the creepiest, most petrifying infant wails. The music in Stasis was composed by Mark Morgan (Fallout, Need for Speed: Shift), Daniel Sadowski (Megamind, Darkout), and Christopher Bischoff (who already worked on the game’s VA, programming, writing, graphics and music – kudos!). The score succeeds at taking you from feeling hair-raisingly alarmed to heart-wrenchingly sad. In Stasis, character development is mainly witnessed (or should I say, heard) through the voice-over. Voice actors Ryan Cooper and Rebecca McCarthy took over the lead characters John and Te’ah. They’ve excelled at representing characters vocally in a point-and-click game – be it through words, song, screams, weeping or frantic breaths. One of the most impressive things in Stasis is the graphics. Seen from an isometric perspective, the roofless cuboid-shaped environments are raw to every detail. 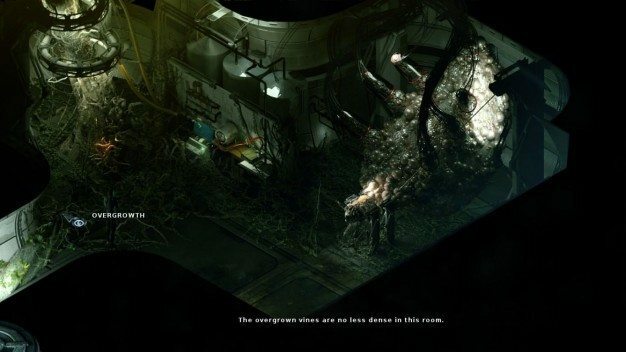 Rooms, NPCs and in-game assets and grimy creatures (including man-made robotics and hybrid clones) have been designed such that they maintain the spectrum of dark yellowish-green and grey hues. They maintain the horror and isolation vibes of Stasis, while mixing it all with carnage crimson and fungal white. As for the gameplay, it’s simple as can be. Point-and-click game controls: a left-mouse button is all there is – one click for walking/interacting, double-click for sprinting. 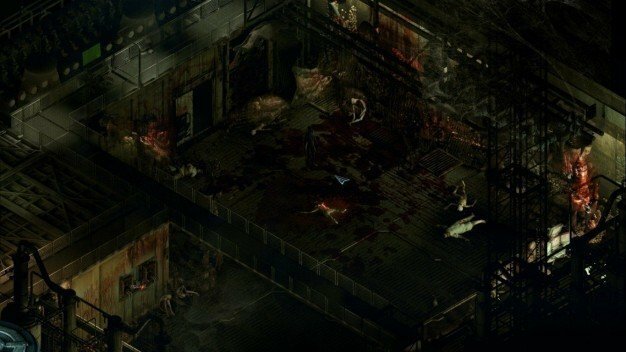 However, Stasis developers kept the controls simple for a reason: they had no intention of keeping the gameplay laid back. 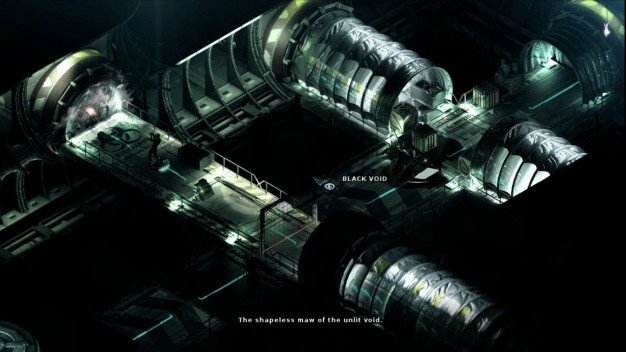 The core of the gameplay in Stasis is puzzles. Really frustrating ones. Throughout the game, you’ll need to keep an eye out for any hidden interactive objects and clues. For instance, for you to solve puzzles and progress through the game, you’ll need to read all NPCs’ (most of which are presumably dead) personal digital assistant logs and use collectible inventory items to solve all conundrums. Prepare to get stuck…a lot. Despite its gorgeous aesthetic rendering and provoking gameplay, Stasis still seems to have some problems that may need fixing. As you hover over in-game elements, descriptive subtitles appear at the bottom of the screen. When a sentence is too long, words can overlap sometimes, making it difficult to read. In addition, the game suffers from click non-responsiveness at some points in the game, where whenever you click on an item in the inventory wheel, it may not get selected – or when you interact with a certain object, it takes multiple clicks for it to actually be effective. This is a major drawback to a game that has such primitive controls. Puzzles in Stasis could also use a little bit more self-explanation. Finally, the most irritating issue is the frame rate slowdown: your PC could be meeting the minimum technical requirements (or more) and still be experiencing FPS lags during action sequences and cutscenes. Dear devs: patches, pretty please? Stasis is an indie horror game that may or may not be for everyone – it all pretty much depends on your game controls preference. With disquieting locations such as infirmaries, bathrooms, hydroponic labs and mortuaries, and stimulating sound FX, the tension could rise and fall according to your definition of “horrifying”. In Stasis, you can die gruesome deaths, but still get achievements. You can never know what’s around the corner even with its isometric design, which keeps the suspense intact. You need to be analytical and attentive to all particulars to be able to overcome barriers – and under no circumstances should you forget the save game button. There could be more terrifying games out there, but for an indie point-and-click game and a debut title, Stasis impresses with its persistently thought-provoking gameplay, sharp art, intense sound effects and VA – add the remaining fixes and it could be stellar.